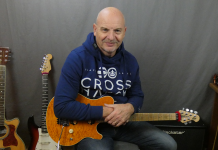 Geoff Sinker has been offering Skype guitar lessons for over 5 years, establishing himself as one of the leading Online teachers in the digital world. Most of all, teaching online has enabled Geoff to reach students from around the globe. He now has students from USA, UK, UAE, China, France, Africa, and many more locations. 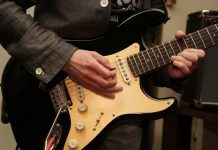 Guitar lessons online allow students to learn how to play the guitar from the comfort of their own homes. Consequently students are more relaxed, focused and ready to learn. No more running around sitting in traffic trying to get from A to B. Online education is the new “black”. More and more students are realizing the benefits of learning to play the guitar online. Lessons are available for beginners, intermediate and advanced students. Geoff custom makes his lessons to fit the needs of each student. Skype guitar lessons with Geoff are open to all, from ages of 9 years old. 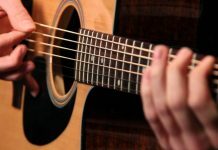 Guitar students learn to understand and apply music theory, song writing skills, and advance these techniques. Geoff covers numerous styles of genres including Blues, Rock, Reggie, Jazz, Fusion, Metal, Punk, and Top 40 Hits. He offers kids guitar lessons, teens guitar lessons, adult guitar lessons and guitar lessons for seniors. 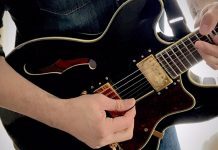 How do I get started with an online guitar lesson today? Scheduling Skype guitar lessons is quick and easy! Fill out the Schedule A Free Lesson form, and Geoff will reply quickly with open time spots for you to choose from. Webcam guitar lessons require a high speed internet connection, a functioning computer able to run real time audio and video for the webcam. Skype is a free download and must be installed and functioning on your computer ahead of lesson time. Furthermore, Geoff is happy to help with technical questions to make sure the camera, computer and program settings are at the best they can be. Download Skype here. 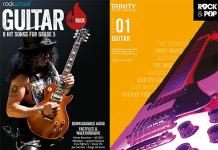 Do you offer a trial online guitar lesson? For anyone unsure if taking a Skype guitar lesson is correct for themselves then Geoff offers a Free 20 minute trial lesson. During the call you are welcome to ask any questions on lessons, discuss what your goals are, and also the best method for setting up for your Skype guitar lesson. I always try and bring in new and interesting ideas to the lessons to improve the quality of our sessions. I work with Guitar Pro 7 which allows me to show you the notation and tablature for either the song or the piece that we are working on. I have a huge collection of backing tracks that i have built up over the years so i will ensure that you have these to use ahead of the Skype lesson. I find that this makes up for the fact we cannot jam together online, but you can demonstrate to me your prowess while you play along with these superb backing tracks. Now of course, not everyone can learn via Skype. Due to the nature of distance learning a complete beginner might find it a challenge to learn online. A good barometer would be, if you can tune your Guitar and play a few chords . Oh, and of course the most important, a desire to learn, then we are good to go. You can also take advantage of my pre paid offer: pre pay for a package of 10 lessons and pay for only 9 lessons. Lessons must be taken within a 3 month period. One of the best teachers available on the internet. Easy to understand and follow. A true professional teacher.